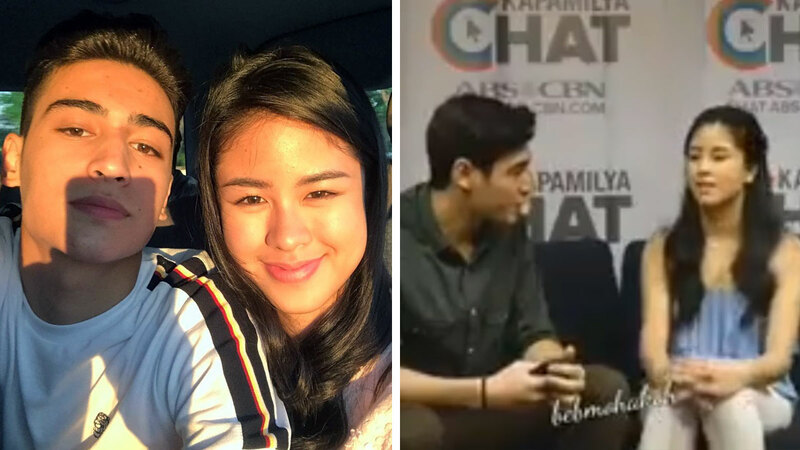 After the recent announcement of the love team "breakup" of Kisses Delavin and Marco Gallo, many went on to speculate what caused the falling out between the young Kapamilya stars. While Star Magic has yet to issue an official statement on the matter, Kisses confirmed the news with ABS-CBN, and said, "We're no longer a pair pero I want to thank everybody who supported us ever since." A week ago, the two took part in the online talk show, Kapamilya Chat, where they promoted an upcoming episode for the drama anthology, Ipaglaban Mo. Interestingly, a fan uploaded a deleted portion of the session that showed a tense exchange between the young celebrities. Marco: "So, okay ba tayo? May problema ba tayo?" Kisses: "Ikaw ang dapat tanungin ko niyan, okay ba tayo?" Marco: "Bakit hindi ikaw ang sumagot?" Kisses: "Sasabihin ko? Dito? Gusto mo? Kisses: "Naaawa ako, eh. God bless na lang." Marco: "Hindi ko alam bakit ganito tayo, eh. Bakit nga?" Kisses: "Bakit hindi ka nag-hi sa parents ko?" Marco: "Bakit 'di mo ko pinapansin?" Kisses: "Bakit 'di mo pinapansin magulang ko?" Kisses: "Importante sa akin magulang ko." The two were last seen together at the recent Star Magic Ball and even won special Best Dressed awards that night. The pair also appeared in their breakout film, Loving in Tandem, in September. In a separate interview with ABS-CBN, Marco said that while he is open to getting paired with a new partner, he still wishes to remain friends with Kisses. He shared, "Siyempre nakakalungkot pero nagpapasalamat naman po ako kay Kisses at sa lahat ng fans na sumuporta sa amin kasi ang dami ko namang natutunan from her, and from all the things that happened. I really hope that one day we're gonna be friends again." He added, "Katulad ng mga normal na tao kailangan ng panahon—the right time to talk about what happened between us, and I am looking forward to be okay with her kasi she's still my friend. I still spent so many memories with her."